In 2016 Flight Training Europe (FTEJerez) announced a new partnership agreement with OSM Aviation, one of the world’s leading air crew management companies. 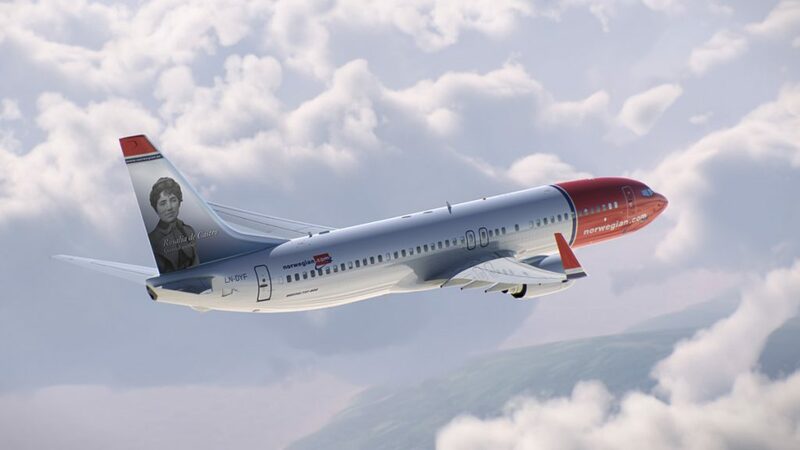 In terms of this agreement, OSM/Norwegian Airlines and FTEJerez jointly selected FTE’s graduates to fly as First Officers for OSM’s largest client, Norwegian Airlines, one of Europe’s leading low-cost carriers. Since the announcement in 2016 some 14 FTEJerez graduates have joined Norwegian Airlines and are currently flying for the airline. Following on the success of the programme thus far, FTEJerez is proud to announce that a joint OSM/FTEJerez Mentored Cadet Pilot Programme has been launched today. Successful candidates’ journey towards becoming a qualified Boeing 737 pilot with OSM Aviation and Norwegian will begin in the autumn of 2017 at FTE’s campus in Jerez de la Frontera, Southern Spain. Lise Lunding, Director Training at OSM Aviation Group commented as follows: “At OSM Aviation we are very pleased to launch our 2017 OSM Aviation Mentored Cadet Program in cooperation with FTEJerez. The flight school has undergone OSM Aviation’s compliance and best practice audit and qualified for training cadets to enter OSM Aviation and fly for our largest client Norwegian after graduating. Through our partnership with FTEJerez we wish to ensure the continued availability of professional well-trained pilots for Norwegian and their Boeing 737 fleet”. Oscar Sordo, FTEJerez CEO, stated: “We are delighted that a dynamic and prominent organisation such as OSM Aviation has chosen FTEJerez as training partner to provide Norwegian Airlines with top end graduates to be the future First Officers and Captains of the airline. As we embark on this exciting next phase of our partnership with OSM Aviation, we are looking forward to giving it our all to ensure that Norwegian Airlines is provided with well-trained top quality pilots”. The OSM Aviation Group offer airlines worldwide the opportunity to take care of their air crew members by offering the complete value chain from recruitment to training, planning of flight duty, employment and HR management. The Group currently has 2,800 air crew members employed in 18 countries around the world. OSM/Norwegian joins a distinguished list of prominent international FTEJerez partner airlines including Air Astana, Aer Lingus, British Airways, BA CityFlyer, CityJet, easyJet, Emirates, Flybe and Middle East Airlines, among others.